Cardi B‘s a new mama after delivering a beautiful baby girl into the world. Cardi had her daughter, Kulture Kiari Cephus Tuesday night in an Atlanta hospital with her husband, Offset, at her side. 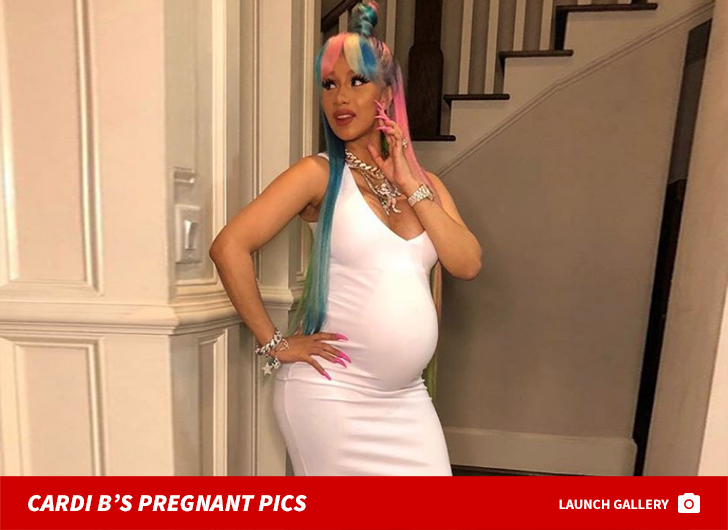 TMZ broke the story in February … members of Cardi’s team were telling people she was pregnant during Super Bowl weekend, but the rapper went to ridiculously great lengths to keep her growing bump under wraps. She finally made the big reveal during her performance on ‘SNL’ in April. Cardi was determined to keep working as long as possible, and followed through by rocking the Coachella stage while very preggo. This is Cardi B’s first child, and Offset’s fourth. As we first reported, Cardi and the Migos rapper were secretly married back in September, but they’re still planning to throw a wedding party later this year. Can You Spot What’s Different About Marnie Simpson In All These Recent Headshots?